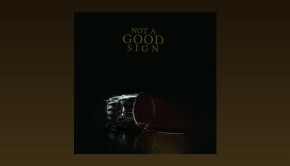 With their debut album being one of my favourites of 2013, the arrival of the highly anticipated new album from Italian eclectic progressive rock band Not A Good Sign was always going to be greeted with a cheer chez moi. 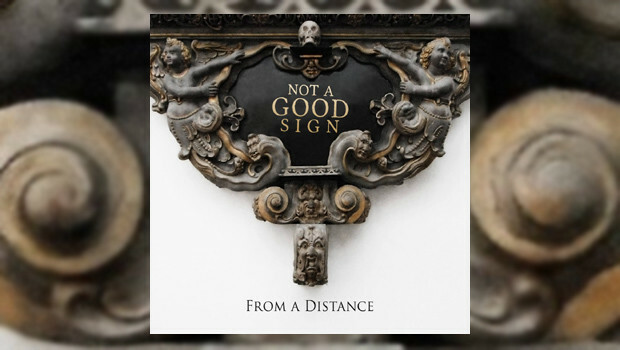 Like the self-titled debut, From A Distance is released on Fading Records, AltrOck Productions’ subsidiary for bands who wear connections to the classic prog era on their sleeves. However, this being AltrOck, most of the groups in this stable are far from being mere slaves to their influences, and no band on Fading Records live up to that statement more than Not A Good Sign, who while displaying obvious 70s tropes take those DNA strands and mould them into something quite unique, and, dare I say it, spectacular. Drawing their members from other bands in the AltrOck stable and beyond, NAGS are something of a cult label supergroup. The band are led by the boundless talents of keyboard player Paolo “Ske” Botta and guitarist Francesco Zago, who amongst many other things are the joint driving force behind the marvellous avant prog band Yugen. On From A Distance the duo either together or individually have crafted ten supremely satisfying slices of the finest progressive rock layer cake one could wish for, with new bass player Alessandro Cassani lending a major part to the music composition of Flying Over Cities. The music draws on avant prog and symphonic prog, but does not sit in either category, creating as it does something of a fresh and modernistic hybrid with an emphasis on melody and accessibility. Joining Botta and Zago are fellow founder members Alessio Calandriello, the singer from retro-proggers La Coscienza di Zeno and drummer Martino Malacrida, along with the aforementioned Alessandro Cassani, who replaces Gabrieli Guidi Colombi, another member of La Coscienza di Zeno. Fast and interlocked guitar and keys charge out of the traps on Paolo’s opener Wait For Me, tied down by Martino’s contrapuntal rhythm. A tale of longing, the allegro introduction is quickly over and the song settles into a slower pace with Alessio’s distinctive pleading high tenor to the fore, singing in English but somehow instantly recognisable as an Italian voice. The rest of the lyrics on the album are penned by Francesco, and the first of these is Going Down, a dark tale of descent into drug oblivion, or so it would seem. Paolo’s tune is one of those melancholic yet optimistic melodies, given that feel by his introductory electric piano. The fifth track, the literal translation of the title from the Japanese being “It was the evening of that day”, commonly used as a story introduction is here a musical introduction of new life soon to come into the world. The tune is a lovely instrumental interlude featuring oboe and grand piano, along with Francesco’s subtle addition, which lightly skips over the recorded heartbeat in the womb of Paolo’s as then unborn daughter. Simple yet highly effective. The solely Francesco-penned Pleasure of Drowning is an attack dog straining at the leash as a fast’n’furious dirty riff growls and snarls out of Zago’s guitar like the mutant offspring of Larks’ Tongues In Aspic and ProzaKc Blues. The rampant aggression of this song is in fulsome contrast to the more studied approach of the music that preceded it, and it makes for a great bumpy rollercoaster ride that jolts one into another listening space altogether. It might seem like an obvious move to follow this with a laid back tune, but it’s a tried and trusted trick that musicians of all genres have used since time immemorial, and in this case it works just fine. I Feel Like Snowing (great title!) is an introspective affair, musing on the pain of loss. The contemplative feel is enhanced by the glockenspiel and vibraphone, adding piquancy to Francesco’s words which are impressionistic and can be interpreted in more than one way, and here and throughout the album they are a credit to Francesco’s grasp of the English language. Building to a soaring vocal climax from Alessio, followed by some classically inclined rock before returning to the theme, Paolo’s music here is deeply soulful, not a word one would normally associate with progressive rock, and it cannot fail to tug at your heartstrings. With the longest track clocking in at just less than seven and a half minutes, there is no unnecessary padding on this album, every note counts. The sound is as crisp and detailed as one would expect from AltrOck’s head honcho of mastering Udi Koomran, and the CD tri-fold out cover and booklet, designed by Paolo, is a delight. That longest track is Open Window, another instrumental from Paolo that again bears a Scandi-prog influence, this time initially putting me in mind of Änglagård, before a grand piano section followed by a spiky riff from Francesco take it elsewhere. Francesco leaves his most searing guitar work for the last song proper, his The Diary I Never Wrote, an intense slab of heavy prog laden with more dense Scandi-prog atmospherics. Paolo’s short and plaintive instrumental Farewell that concludes the album is subtitled “Instrumental to Francesco”, and that together with Francesco’s dedication in the booklet, stating that he would like to “thank especially each member from the band – former, current, and future ones” is all sadly self-explanatory. Francesco tells me he is so busy with numerous other projects that he no longer has the time to dedicate to NAGS, which is a real shame. The band will go on with a new guitarist, Gian Marco Trevisan, who appears here on Flying Over Cities. He has some rather large shoes to fill, and I await future developments with great interest. 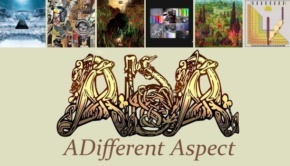 From A Distance suffers slightly from “second album syndrome”, as it perhaps lacks the visceral excitement of the highly impressive debut, which was always going to be a hard act to follow, but it stands on its own merits as a classy work of accessible and interesting modern progressive rock. Every fan of the genre should buy this, now, and if you’ve not heard it you’ll need the debut too!